Exodus International, an organization that promotes "reparative therapy" and other methods of "leaving homosexuality," has launched its very own iPhone app. But LGBT advocates argue that it promotes discrimination, and should be removed from iTunes. Exodus is a Christian ministry that supports those wanting to reconcile their faith with their sexual behavior by providing a variety of resources including, support groups, referrals to outside counselors and other resources. Exodus is the largest ministry dealing with the topic of homosexuality in the world today and has more than 240 member ministries within its network that offer practical help to those seeking to leave homosexuality as well as family members and friends affected by this issue. They add, "Our network is comprised of many former homosexuals who have experienced similar issues and can relate to the struggles that revolve around life-dominating addictions." The app — which I downloaded so you never have to — is pretty much more of the same. You can access Exodus content like Terri Brown's essay, "How Do you Pick Up The Pieces After A Child "Come Out" During the Holidays?" ("Your child has likely carried this internally for a long time and is probably feeling a huge sense of relief, while you may be wondering who replaced him with this imposter!"). You can look at a calendar of upcoming events in various cities. And you can read a special section on "Responding to Bullying," which says that "we strongly oppose bullying, name-calling and acts of aggression against any individual or group of individuals for any reason," but also that Christians should "uphold the belief that sexual, bisexual or transgender behavior and/or identity are outside the intentional design of human relationships and sexuality, and therefore aren't what's best for us, regardless of whether we are drawn to them." The bullying section also offers this tip: "understand that no individual or group's safety is dependent upon the silence of another individual or group's beliefs, and that no one's rights should come at the expense of someone else's." Which sounds like a roundabout way of saying, "don't blame us for anti-gay bullying — we're just saying gay people's lives are totally immoral." Don Schmierer, an Exodus International board member, keynoted the March 2009 conference in Kampala, Uganda that stoked the fires of anti-gay hatred and culminated in that nation's infamous "Kill the Gays" Bill. Schmierer's attendance, with the public blessing of Exodus International, lent Exodus' name, fundamentalist credibility, and tacit approval to the conference's destructive message and the brutal legislative and vigilante violence that followed. Apple doesn't allow racist or anti-Semitic apps in its app store, yet it gives the green light to an app written by an anti-gay extremist group that condones violence against LGBT people and targets vulnerable sexual-minority youth with the message that their sexual orientation is a "sin that will make your heart sick" and a "counterfeit." This is a double standard that has the potential for devastating consequences. 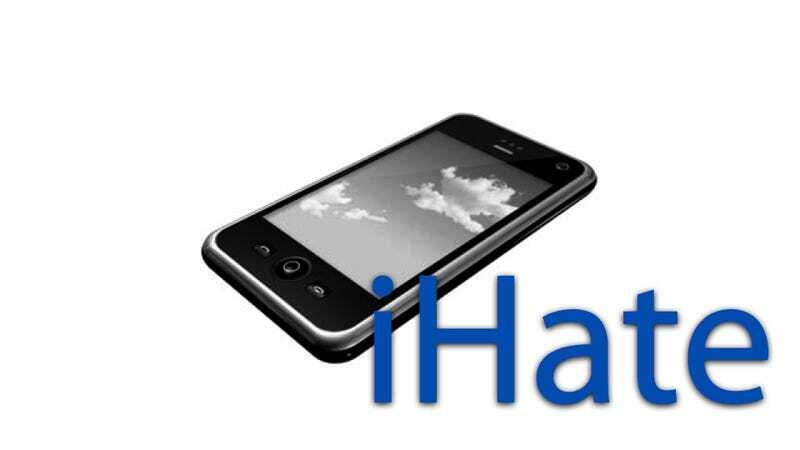 Apple says it rejects apps that "contain hate/violent/offensive content." And although Exodus bends over backwards to claim that it doesn't hate gays, its teachings are pretty offensive to anyone who supports equal rights for LGBT people, or who recognizes that "reparative therapy" is useless and dangerous. If Apple truly wants to keep prejudice out of its app store, it should keep the Exodus app out too.